AS HE SAT NEAR THE POND, TIMMY WATCHED THE MOON BEGIN TO GLOW IN THE EAST WHILE THE SUN, NOW A RED BALL, SANK LOW IN THE WEST. "MISS MOON AND MR. SUN," HE CALLED. "YOU'RE SO BRIGHT AND BEAUTIFUL. I LOVE YOU!" 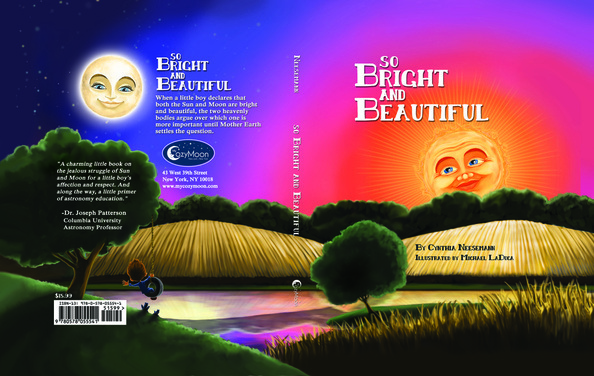 SO BRIGHT AND BEAUTIFUL is a newly published book dedicated to awakening a child's fascination with the world around him or her as seen through the eyes of a little boy who has just discovered the beauty of the two heavenly bodies, both Sun and Moon, when he looks up at the sky at night and in the morning. 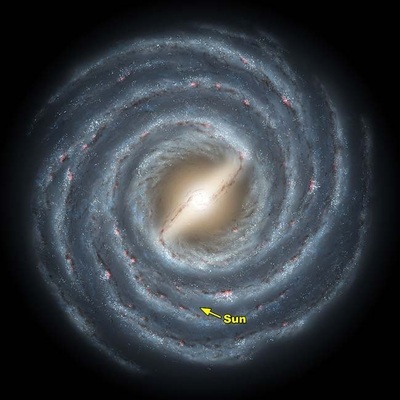 The book draws attention not only to the beauty of the Sun and Moon but also to their relationship to each other and to their importance in keeping the Earth and the life on it in balance.